We live in a culture today which relentlessly preaches something I call the “Myth of the One.” We believe that life comes down to a very small number of pivotal moments, which—if missed—throw everything else off track. I’m not sure where this started—maybe it goes back to Freud and early psychiatrists, who attempted to describe everything in our lives in cause/effect relationship to formative moments. Or maybe they simply were reflecting the general society at large’s acceptance of this Myth of the One. We believe that there is one perfect major for us. We believe that there is one perfect college to attend. We believe that there is one perfect job to take, and one perfect career path. We believe there is one soulmate for everyone to find happiness. We believe that there is one “right time” to have kids to maximize happiness. To put it in Christian terms…we tend to believe that there is one “perfect will” of God for our lives, and every detail of it is mapped out and planned. Because of this, we are forced to either believe that God will make that happen for our lives regardless of our will/desires (Calvinism) or that we are capable of screwing up God’s plan for our lives (Arminianism). But let’s pretend for a minute that you’re a skeptical Christian. Let’s pretend that—as a reader of this blog—you actually want to base your life on the Scriptures and not the Christian culture we’ve created today. So you decide to look into it. Where can you find verses saying that God will help you find this One perfect major/college/job/soulmate/car/house/etc? There will be a few other verses thrown in from time to time, but even these authors don’t use these as Scriptural proofs, but rather as examples of how to achieve this One Path He has for you. For example some will quote Psalm 119:105, which says that His word is a light for our path. Others will quote Hebrews 12:1, which says that we should run with endurance in God’s race. Or they might reference Proverbs 16:9, which says that humans plan courses but God interrupts to move them other places. Okay, so there isn’t a whole lot of Scripture there to back up this idea that God has one perfect plan or will for your life. But the Jeremiah 29:11 verse is still pretty-spot on, right? After all, most people think so...it is the second most read Bible verse in Scripture by Christians today. So clearly, this is meant to give us hope in our search for spouses and jobs and such, right? Context is key, so let’s find out what this verse is about. That’s what the passage is about, guys and gals. When I think about the 31,000 plus verses in the Bible, it is hard to believe that a prophet's command from 2,600 years ago not to rebel against your slave-masters and instead wait patiently on God to free you is really the second-most relevant verse. Do you see how, well, arrogant that is? How disrespectful to God and His word? To make it about me and my job and my love life and my finances and my car choice and me me me me is just so very selfish and so very wrong. And worse, it plays into the going narrative in our society that history is all about a series of inflection points, pivotal moments that must be captured or your life is ruined. The Myth of the One, that if I don’t hit that one moment, that one opportunity, then I will ruin God’s plan for my life. So what is God’s plan for your life? This is not to say, however, that God has no plan for us. Far from it! God has a very specific plan for your life. It’s just not what Hollywood—or modern American culture—wants it to be. You see, we have been told that God’s plan for us is a specific path, a “preferred decision” at every moment (no matter how small), and that He helps us achieve it. It is a path that brings us comfort and wealth and happiness and health. It is a path that will please Him and, if we deviate from it, we fail. Oh, maybe we have some latitude here and there, but there are a few key moments that we must pass through. But God’s plan for your life is—paradoxically—both more intimate and less you-centered; both more beautiful and less grand. God’s plan for each of us is to live in our lives as new creatures. To allow Jesus to transform our hearts, wherever we are, and to thereby transform everything around us. Our God is not a God of grand stages and worldwide press, but a God-of-the-moments, a God who is in the dust and muck with us. With a very few exceptions (Paul, David, John the Baptist…you know, exceptions rare enough to warrant including in the Bible! ), God does not have this grand and detailed step-by-step plan which leads you to Great Glory and Wonderful Achievement. His plan for you is simply this: to allow Christ to transform who you are so that, whoever you are, you are now an Heir-of-Christ in your environment. If you are a farmer, God’s plan for you is to be a Christ-like farmer. If you are an engineer, God’s plan for you is to be a Christ-like engineer. If you are a journalist, God’s plan for you is to be a Christ-like journalist. If you are a parent, God’s plan for you is to be a Christ-like parent. If you are single, God’s plan for you is to be a Christ-like single. Your “path” is one of spiritual growth and holiness…not of achievements and works. To put it simply: God wants you to make wise decisions, to love God, and to love others. That is His plan. This makes some of us uncomfortable. We (being so individualistic) hate the idea that this sounds so impersonal. We should each have an exact God-plan for us individually, not just collectively as a group! But you see, that’s wrong. Because when we become Christians, we do in fact precisely this: we die to ourselves and become part of One Body, the Church. Its plan becomes our plan. The Kingdom, not our personal satisfaction, becomes our goal. Some of you now, as you read this, revolt against it. You want God to have a specific plan for you, John Q. Public, a specific plan that tells whether you should buy this car or not and how that affects your overall story arc. You want, in other words, to be the main character in your story. You see, that’s the problem. Hollywood has taught us that we are all stars in the picture…when in reality, we are the supporting cast. We are an ensemble. The leading man is the Triune God, and this is His story, not ours. We have roles to play, and those roles are to be wise, love God, and love others. This is the message of the entire Bible, cover to cover. Every Scripture plays into this role, and every Scripture supports this view of our lives. God loves us, God saved us. Therefore…His plan for you is: Live wisely. Love God. Love others. 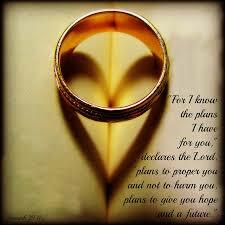 What is God’s plan for your marriage? Choose a partner wisely. Love God by upholding the oaths you make on your wedding day. Love your spouse even during hard times. What is God’s plan for your college/major? Choose a college and major wisely. Love God through your obedience. Love others during your time there. What is God’s plan for your career right now? Is He wanting you to accept/reject such and such job? His plan—make a wise choice. Love God and give Him praise that you have such options. Love others in your career so that they can see Him through you. What is God’s plan for your car choice? Choose a car wisely. Love God and represent Him well. Love those you encounter during the experience, living as a child of the light. God does have a plan for your life. But it is not the Myth of the One, that there is some perfect set of steps which, if not followed, ruin this great glorious tapestry He has woven to bring you fame and fortune. No, God has a plan which is far more beautiful, far more powerful, far more intimate, and far more awe-inspiring. He wants YOU to become His light in the world around you. To reflect His glory and be one of His candles holding back the darkness of our age. Stop this silly search for “God’s perfect plan” for you. Just be wise, love God, and love others. Be His light in your life, whatever it brings you. And look forward to the coming Kingdom, where all will be remade.